Amy Dixon’s report from her first triathlon: I am a Para-Triathlete Officially! 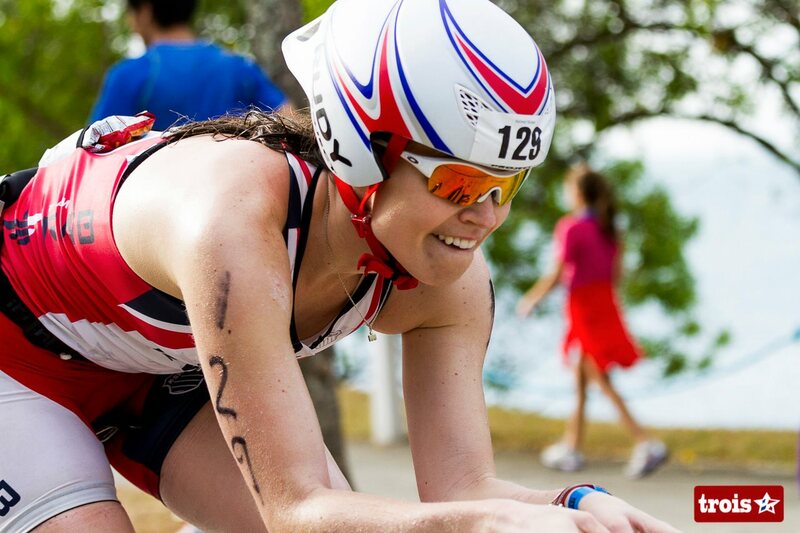 Take a moment to read Amy Dixon’s account of her first triathlon! Amy is now officially a paratriathlete. This was her first major athletic accomplishment since losing her vision 5 years ago. I am honored that she chose me to guide her through her first tri!!! I am a Para-Triathlete Officially!. Rachel Weeks and I were lucky enough to be asked to speak with Pace Per Mile before Ironman Texas. We were also asked back to discuss how the race went and to tell listeners about Team Red, White & Blue’s mission. Here are the links for both interviews. 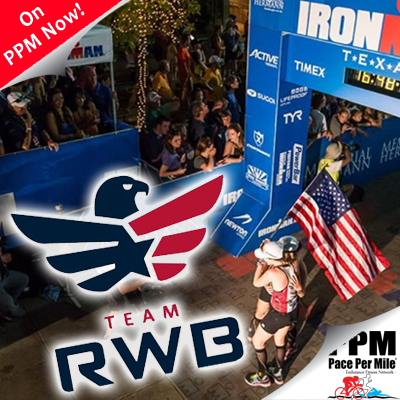 If you are interested in hearing our first hand account of how IMTX went or if you’d like to learn more about Team RWB, please take the time to listen! 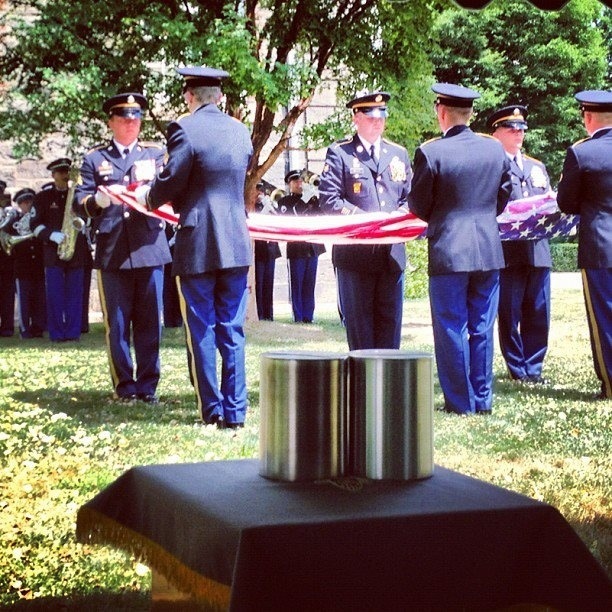 On July 11th, 2012, my family brought the ashes of my grandfather, Brigadier General Ernest Paul Braucher, to West Point. It is the place he considered his home, where his life of service began. 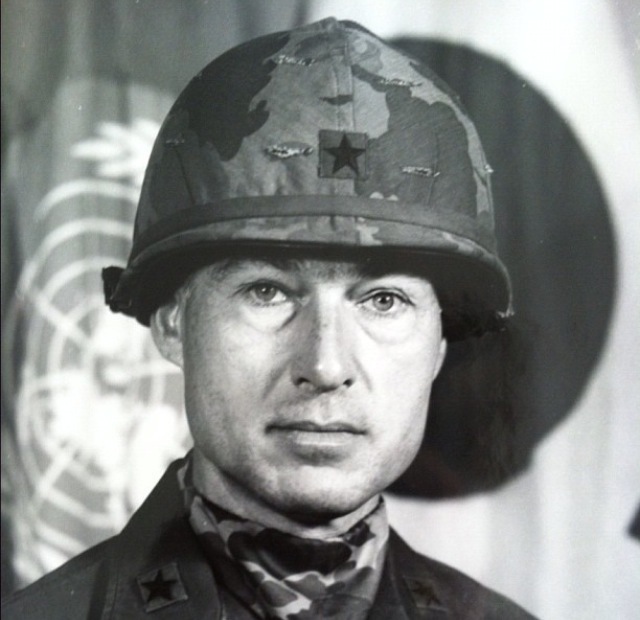 My grandfather was at his very best, and his most authentic self, in Army green doing what he considered to be truly important work. My grandfather was lucky enough to live a long, full life. His brother, who was KIA during my grandfather’s last year at West Point, was not. Today, we are still losing young service members in battle and it is absolutely essential that we honor their memory by taking care of our nation’s veterans. 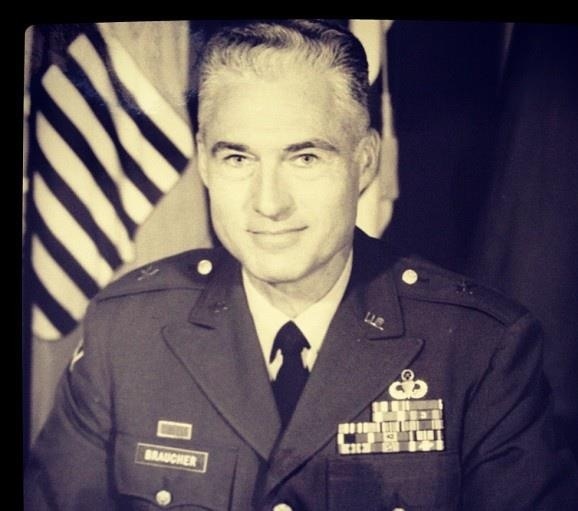 I am proud to have a grandfather like mine and I am lucky to know as many brave servicemen and women as I do. The more I have become involved with Team RWB, the more I appreciate and understand the sacrifices that our military members make for our nation. On Memorial Day we honor those who have paid the ultimate price. Let us never forget the men and women who died bravely while fighting for our freedom. Rachel Weeks is the first athlete with Usher Syndrome, a condition that has caused her to lose her vision and hearing, to finish an IRONMAN TRIATHLON. Check her out at 2:38 and 7:29 in the official Ironman Race Day video from Ironman Texas 2013. A few friends wanted to know more about guiding visually impaired triathletes, so I decided to answer some of their questions in a Q & A form. If you would like to add any more questions to the list, please email me at caroline.gaynor@gmail.com. Do you query the athlete’s expectations before you agree to guide them, to ensure you are up to the challenge? For example, what if they want to go faster than you? I definitely discuss an athletes expectations before agreeing to guide. If you are significantly faster than an athlete, you will reduce the chances of having a “bad” race and causing them to reduce their speed, but unfortunately, guides can have bad days too! Do you swim side by side, or do you sort of take the lead and they swim off your hip? Para triathlon rules dictate that I cannot swim ahead of my athlete. We can swim side by side, or she can swim slightly ahead of me. If she were to swim slightly behind me, this would be an unfair advantage, as she would get the benefit of my draft. Before your very first race, did you do much training with an athlete? How did you learn how to do the bike? Funny you should ask! Before my first triathlon as a guide, I had less than a week’s notice. I received a call the week of the New York City Triathlon from Matt Miller, founder of the C Different Foundation. Matt told me that he had an athlete coming in from Chicago to do the race and he wanted to know if I knew anyone who could guide. I was already registered for the race, so I agreed to race as a guide instead. I met my athlete, Kim Borowicz, the day before the race. She took the train into the city from JFK and met me in midtown. I had ridden a tandem that morning, with Matt Miller as my stoker (a captain or pilot is the front person on a tandem, a stoker sits behind them). Matt and I rode one loop of Central Park and I almost lost my mind, I was so scared. He is significantly heavier than Kim, so his movements had a huge effect on the front of the bike. He was doing everything he could to throw me off. So, to answer the question, I really learned how to pilot a tandem on the fly! My first time riding with a visually impaired athlete was during the 2008 NYC Triathlon. It seems to me that you take some of these races on short notice, is that accurate? If so, how are you able to get/stay in shape for it? Most people train for 6+ months for an Ironman, and you just “do” it?? Is this a youth thing or what? I wouldn’t say it’s a youth thing… I tend to be the backup person a lot of the time. I like to be flexible, so it’s easy for me to jump in and race when I’m needed. I guess I have a lot of fitness “in the bank” because I have been racing for so long. 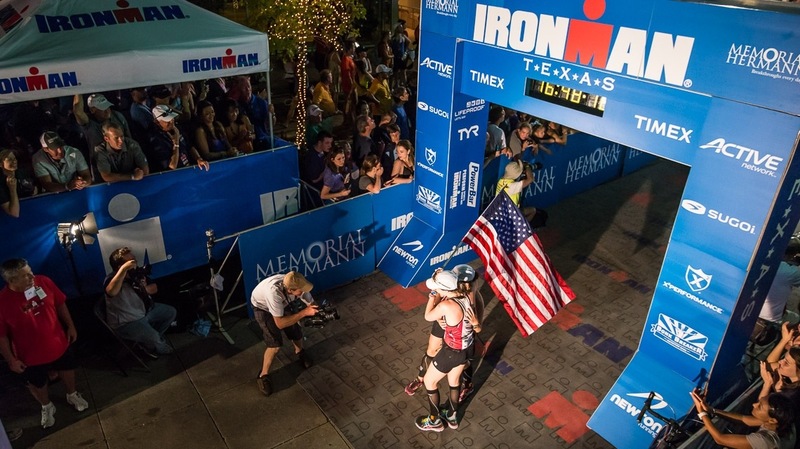 I had plenty of notice for IM Texas, but the first Ironman I guided was on 5 weeks notice. I received an email from a friend who had heard about an athlete in Seattle who needed a guide for IMLP because her guide had broken her wrist during a training ride. I felt that I had enough fitness to race. How much does your water polo experience help you in the water? I’m assuming by your comments that you don’t have any anxiety about the swim pre-race? I think my water polo and life guarding experience help me a lot in the water (Thanks, Coach Lee!). When I started doing triathlons, I was already used to being rough in the water. When I started guiding, I had already been racing for 7 years, so I had a decent amount of experience under my belt. I don’t usually have much anxiety before races… I think it’s because I tend to caretaker mode. When I fee like it is my job to control a situation, I shut off the part of my brain that makes me feel nervous. Can you wear a wetsuit and your partner not (or vice versa)? Depending on the race, wetsuits are absolutely legal. Rachel and I did not wear wetsuits at IMTX because the water was warm enough that I felt it was unsafe to wear a wetsuit. Does guiding a race count towards national ranking? Officially, I don’t think so. Lately, I have been guiding so much that I haven’t been nationally ranked. However, some of my guiding results show up under my own name. I haven’t checked to see whether they are separated out because I raced in the PC wave. I am sure that USAT would remove the results from my profile if I asked. Often, your name will not appear anywhere if you are guiding, but at Ironman events, guides get their own chips and bib numbers. Because of the stakes, what are your thoughts on average age group swimmers becoming guides? I get very anxious pre-race, and a lot of it is due to the swim. I don’t know how much help I could be to my athlete if I’m wanting to throw up myself! I think this is a personal choice. I would absolutely recommend practicing the swim with your athlete if you get nervous. If you are a competent swimmer, there is no reason why you can’t guide an athlete that you can (at the very least) keep up with. Just be honest with your athlete. Never claim to be able to go faster than you can. You’ll only be doing yourself and your athlete a disservice. How do you handle potty breaks? I’m guessing that Rachael wouldn’t have liked it too much if you stood up on the bike and started peeing! Unfortunately, when I’m on the front of a tandem, I lose the ability to pee while riding. Let’s call it a courtesy to my athlete. During Ironman events, I try to discuss pee breaks with my athlete. In Ironman races, there are usually bike racks where athletes can leave their bikes while they use the faciities. Sometimes I’ll rack the tandem, and sometimes a nice volunteer will hold the bike while we go! How would you recommend someone break into being a guide? Perhaps on run only events to figure it out, or maybe as a training partner? I think that it is always best to train with an athlete before you race with them, if possible. Obviously, there have been many times when I have not been able to train with someone before I raced with her, but it’s still not an ideal situation. Running is certainly the easiest way to begin guiding. If you are set on guiding a triathlon, I would try and locate a tandem bike in your area and practice riding with a sighted person before you ride with a visually impaired individual. Do you bring your own pedals to the races? When I race, I bring my own pedals and seat. Is it the athlete’s responsibility to get a bike for the race? I suppose technically it is the athlete’s responsibilty to get a bike before a race, but there are many people that are willing and able to help. Some of the organizations that are particularly helpful are: Achilles International, Para Promotions, and the C Different Foundation. If an athlete owns their own bike, they get it to races the same way you or I would. In fact, Tri Bike Transport has begun transporting tandem bikes (used by para-athletes) for free! Thanks, Tri Bike!!! How do you get in contact with athletes that would lime a guide? Is it better to start with an Olympic distance, move to 70.3 then on to a full? Paratriathlon is a new sport in the 2016 Paralympics. I actually recommend starting with sprint triathlons, as that is the official distance for international paratriathlon competitions. I read some where I think that you have done other races with Rachel, do you stay with the same athlete for awhile? If I get along well with an athlete, I usually want to do multiple races with them! I am not committed to racing with one particular athlete. None of the women I guide live near me, so I pretty much train on my own and meet up with visually impared athletes for races. Did someone teach you how to guide? Every athlete has different things that they expect from a guide, so I feel like I am constantly learning. But no, no one ever sat me down and taught me how to guide, as far as I can remember. I probably learned by watching my good friend, Aaron Scheidies, race. Did Rachel have to learn how to be guided in a race atmosphere as opposed to in every day life? You’ll have to ask her! Did you do an Ironman solo before doing it as a guide? I did one Ironman in 2005 solo. It was an iron-distance race called Silverman. I didn’t even consider doing another Ironman until I found out about an athlete that needed a guide for Ironman Lake Placid in 2010. Regarding potty breaks, do you un-tether? We definitely untether. Depending on the athletes level of vision, I will either wait to go, or go in a stall near them. Since stalls are dark, I usually tell the athlete which side the toilet paper is on. Do you help them with their nutrition? For example if they want a gel every 20 minutes or x miles? At Ironman Texas, I tried to help Rachel with her nutrition. It was more about reminding her (and myself) to drink, take salt tablets, and eat at regular intervals. If the athlete can’t draft off of you on the swim, who drafts if you come up to someone’s feet (you of the athlete)? If you do a wetsuit swim you would lose the tether before stripping, then what (hold hands to T1 or what)? Exactly! Sometimes my athlete will grab my arm instead. I carry both wetsuits, goggles and swim caps. Have you ever done larger running events as a guide? In my experience they are bedlam and it could prove difficult to keep people from running between you. I have done some NYRR races as a guide in New York. For larger events, it’s good to have a sweeper to get people to move out of your way when you’re trying to pass. You’re in the final leg and your athlete wants to walk. How much do you push/encourage them vs. acquiescing? That’s tricky. I like to coach/motivate, but it really depends on whom I’m racing with. I try to be conscious of how the athlete is feeling. It’s more of a “do you want to run now?” Situation than a, “come on, you can do it!” thing. I do tell athletes where we are in the race and talk race strategy with them. I try to plan out where to make moves in the race, if it’s appropriate. Have you ever had an athlete get into distress on the run? How did/would you handle that? Might you talk about quitting? Might you quit yourself if they are bad enough? I have had to stop a race because an athlete was severely dehydrated. It’s as disappointing as when I have a bad race solo. But safety is always the priority. I wouldn’t stop racing without the athlete making the decision unless I really felt their health was at risk. Of course I get tired! Everyone gets tired. I think that’s what is so interesting about long course racing. Rachel and I discussed the fact that we might have high and low points in the race at opposite times. Sometimes you can get really annoyed at your athlete and they can get REALLY annoyed and frustrated with you. Imagine being tied to your best friend for 15 hours. Now add in 140.6 miles of exercise… Tensions can arise during a race! Do you talk at all during a swim? I.e., left turn ahead? How do you handle turns? I try to talk as little as possible during the swim, because I don’t want to slow my athlete down. Sometimes it is necessary to stop and reorient if it seems like we are getting too far off course. I have had to talk down a number of athletes during panick attacks. During those instances, I absolutely talk to my athlete! Do you prefer your athletes on one side or the other? Do you alter your breathing so you can keep a better eye on them? I try not to have a dominant side when it comes to positioning because I race with so many different athletes. I usually go on whichever side they prefer. When I’m swimming with a tether, more often than not, I will breathe every other stroke instead of every three so that I can keep an eye on my athlete. Sometimes I switch sides so my neck doesn’t start hurting. Did I hear you say you watch for swimmers trying to come up between you? How do you do that? In addition to sighting on the swim, if we are in a large group of swimmers, as is the case in Ironman events, I will occasionally look back at the field. For the most part, if I feel someone coming right behind me, I might look back. If the person doesn’t pick his or her head up, I have, in some instances, grabbed a person’s head and shouted, “You can’t swim between us! We’re tied together!” Other guides might have different tactics. What would you do if your tether broke on the swim? I have had at least one tether break before. It’s kind of a pain… you have to almost swim like you’re jumping rope! It gets tiring. If a tether broke in an ironman, I would try to re-tie it in the water. I’m typically a bit fuzzy headed and wobbly at the end of the swim. Are you or your athlete? Does it require special attention/care? I think everyone is wobbly after a swim. I just focus on moving towards transition and not causing my athlete to trip and fall! I’m not sure how a tandem works. If I’m a stronger rider than my athlete am I able to carry 60% of the load, or if I push harder does that make them have to work harder. What do you think of when you hear the words Iron Man, Triathlon, Marathoner, Endurance Athlete? What do you think of when you hear the word guide? What do you think of when you hear these words- an Iron Man, Triathlon, Marathon, Endurance Athlete Guide-together? Well let me introduce you to an extraordinary athlete Caroline Gaynor a multifaceted athlete who not only excels on and off the race course but has also worked very hard to promote, mentor and connect Veterans and civilians through her work at Team Red, White and Blue. Sidestepping threats and jeers, the Afghan women on the country’s national cycling team are risking their lives to compete and doing their part to help women’s rights race forward in the war-torn nation. NBC’s Mike Taibbi reports. This video is both tragic and inspirational. The adversity these women must overcome would seem insurmountable to most people. I applaud these cyclists for their courage and tenacity. Please take 2 minutes and watch this clip. It’s absolutely worth watching. 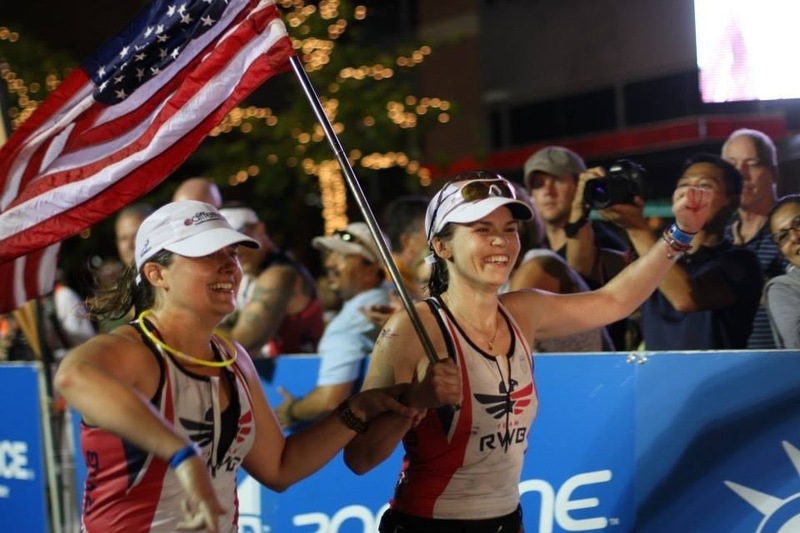 This video illustrates the importance of Team RWB. I am honored to be a part of such an incredible organization that is working to improve the lives of America’s veterans by connecting them to their community through physical and social activity. Please take the time to watch this video. If you would like to learn more about Team RWB, please visit our website: http://www.teamrwb.org. Veterans and civilians are encouraged to join. There are no obligations, no membership dues, and no expectations. We are creating a movement- we need to gain as much support for our nation’s veterans as we possibly can.